One way to create a caring classroom, a place where you and your students will thrive and blossom, is to invite parents in from the beginning. Invite them to be an active part of the special learning community you are creating. A letter like this one is a great way to get things rolling in a positive direction. 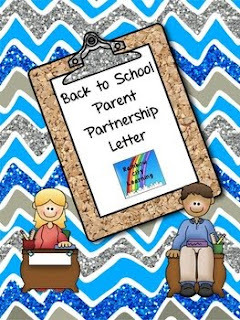 Parents have responded to this letter for years in my Rainbow City classroom with heartfelt comments and sharing of information that truly helped me to create the best learning environment possible for each child. I suggest keeping these letters (print out the emails) in your conferring notebook to help you to learn who your students are inside and out as you work with them. Wishing you parents/caretakers who are true partners and on your side as you journey through the school year!